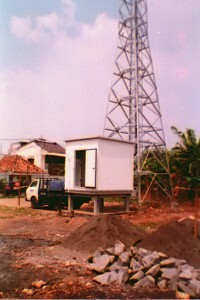 Pretty much every site visit we take results in a collection of site photos. We’ve been at this long enough to have transitioned from film, to scanned photos, to digital processing, to digital cameras. These days, a smartphone generally provides sufficient quality for reporting and analysis purposes. 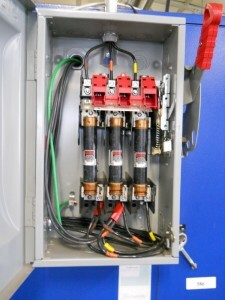 Circuit breaker or disconnect boxes are common places of wiring issues - improper neutral-ground bonds, floating grounds, loose connections, undersized circuits or protection. We rarely get past the electrical service - but it's a good place to start to look for service configuration and capacity, facility grounding, service imbalance, and other unusual conditions. 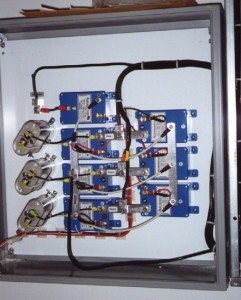 Grounding is a big problem are at electrical services, isolation transformers, power conditioning devices, generators, and at equipment. 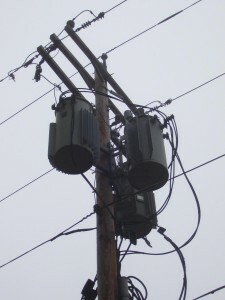 Many tricks used to isolate or clean up grounding often contribute to problems or are unsafe. 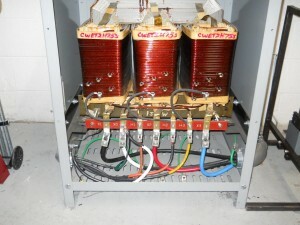 A quick look inside an isolation transformer can uncover many problems - floating secondaries, improper neutral and ground connections, loose tap connections, and backwards connection are among our "finds". 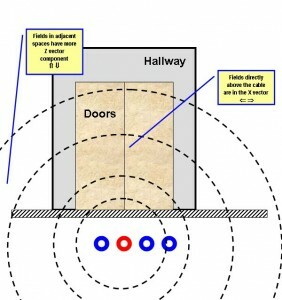 Tracking down magnetic fields takes time and the ability to think creatively in three dimensions. When fields are caused by ground currents, net currents, or other wiring issues - we can often resolve or minimize issues without expensive shielding. Surge Protective Devices, Uninterruptible Power Supplies, Voltage Regulators, Generators, Filters - you name it, we've seen it, often misapplied or in need of maintenance / repair. 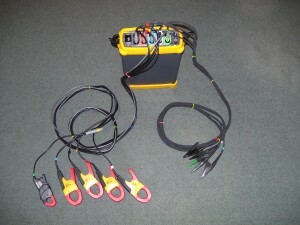 We've worked with most of the tools and test equipment used to detect and capture power quality issues - and can help you to cost-effectively outfit your service organization or facility. Perhaps one of our most memorable site visits - from the ride up into the sign on a cherry-picker that did not quite reach the access door, to hauling a power analyzer up with a rope. Safety harness or not - never again! 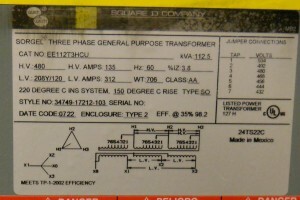 Transformer nameplates provide invaluable information for the power quality engineer. 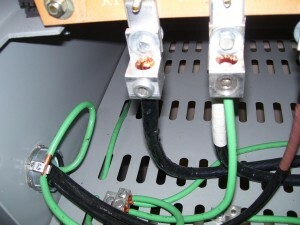 Nominal voltage, connection type, impedance, ratings can be the first place to look for potential issues. We've run into pretty much everything: Delta:Delta, Wye: Wye, Delta:Wye connected backwards, Scott Tee Connection, Open Delta, Center Tap Grounded Delta. Traveling across the country and throughout the world to address power quality issues often takes us to interesting places, or into interesting situations.